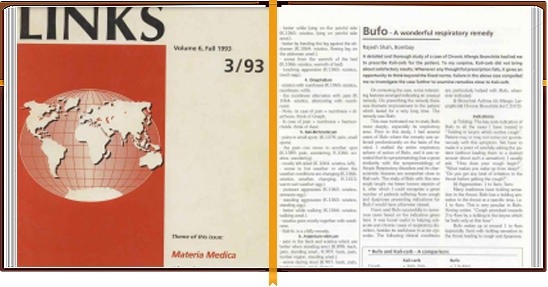 A detailed and thorough study of a case of Chronic Allergic Bronchitis had led me to prescribe Kali-carb for the patient. To my surprise, Kali-carb did not bring about satisfactory result. Whenever any thoughtful prescription fails, it gives an opportunity to think beyond the fixed norms. 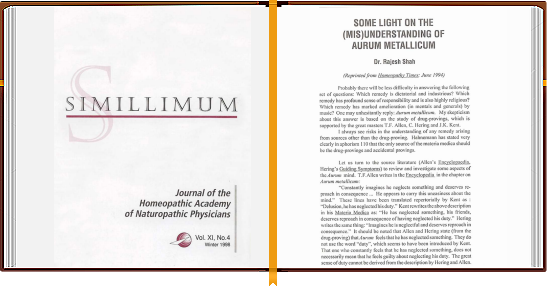 Failure in the above case compelled me to investigate the case further to examine remedies close to Kali-carb. 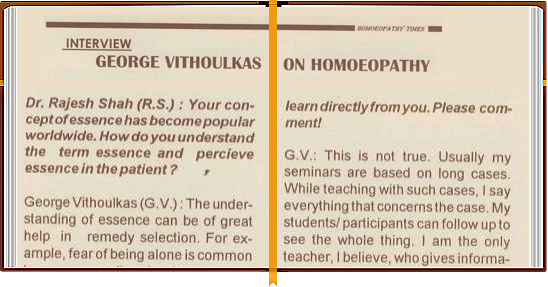 During George Vithoulkas's visit to Bombay in January 1994, Dr. Rajesh Shah interviewed him discussing various vital aspects of homeopathy practice. Following are some of the excerpts. Some more part of the interview will be published in the next issue. 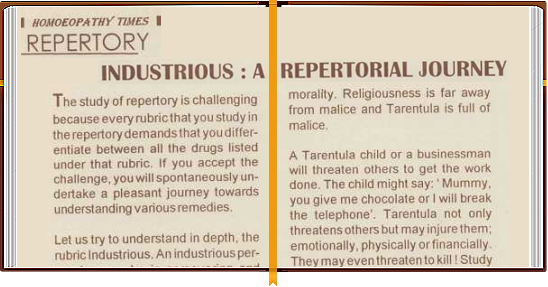 The repertory is a treasure which helps us to enrich our knowledge of materia medica. It compels us to do comparative study of different remedies and as a result we understand the fine differences between them. 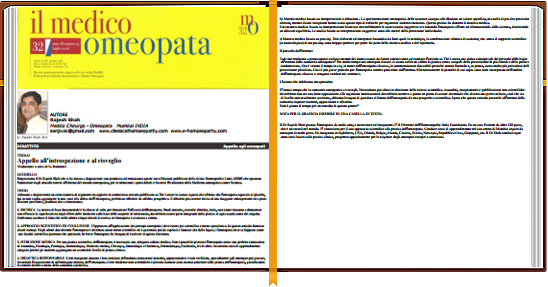 The study of the repertory is never dry and never mechanical, on the contrary, it is most interesting and challenging. It is well illustrated in this article. 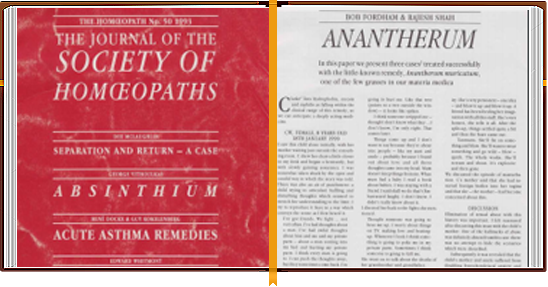 In this paper we present three cases treated successfully with the little-known remedy, Anantherum muricatum, one of the few grasses in our materia medica Clarke lists hydrophobia, sycosis and syphilis as falling within the clinical range of this remedy, so we can anticipate a deeply acting medicine. 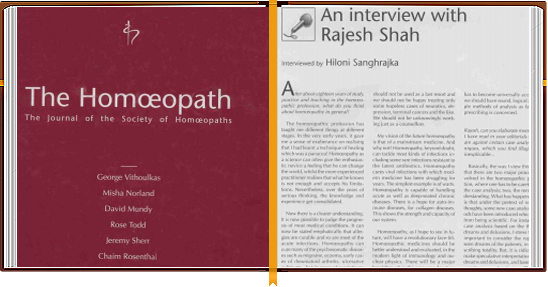 Ringraziamo il Dr Rajesh Shah che ci ha messo a disposizione con prontezza ed entusiasmo queste sue riflessioni pubblicate dalla rivista Homeopathic Links 4/2005 che spostano l'attenzione dagli attacchi esterni all'interno del mondo omeopatico, per evidenziarne i punti deboli e favorire l'evoluzione della Medicina omeopatica come Scienza.